More info:Prices are based on two adults sharing a double or twin room for 6 nights on a bed & breakfast basis in our hand-picked selection of accommodation. The tour can end in other locations, please ask us for a quotation. We are continually increasing our range of public transport holidays for those who actively choose low-carbon transport. 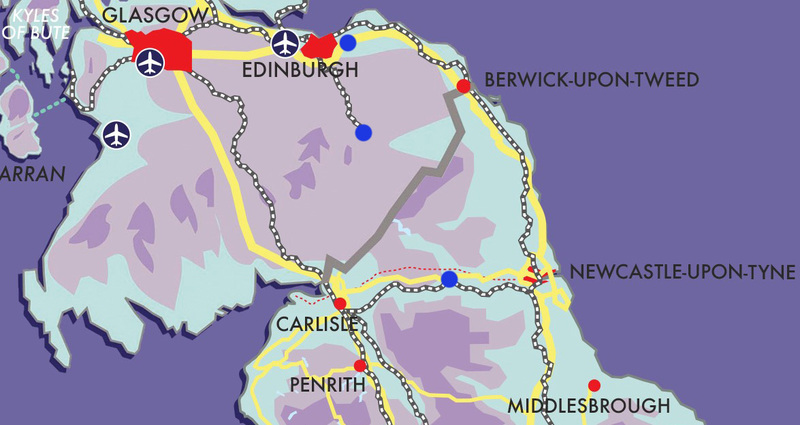 This holiday has been carefully-designed to allow you to explore both Scotland and the north of England by rail. It takes you beyond the end of the train lines, through the careful addition of short taxi transfers. We recommend that you explore further on foot or by public transport in each local area. The accommodation chosen takes you a little off the beaten tourist track, so that you will have a more authentic experience. In each place, there are plentiful local walks, and some short trips available by local bus - we will provide suggestions and recommendations in your holiday pack, but do check the most up-to-date information with the staff at your hotel.